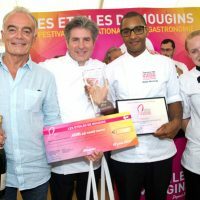 Étoiles de Mougins, the International Festival of Gastronomy and the Art of Living, organized prestigious competitions highlighting the emerging talents. 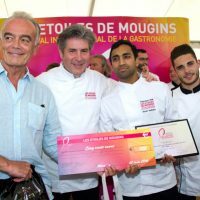 Étoiles de Mougins, at the 11th edition of the International Festival of Gastronomy and Art of Living (10/11/12 June 2016), organized prestigious competitions of the highest level. 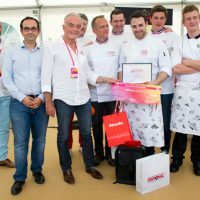 These culinary competitions, very popular to a public fond of gastronomy, are one of the most important facets of the Festival and we present two competitions for young chefs under 35 years, the Young Pastry Chef Contest and the Young Chef Competition. 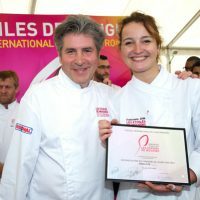 Two high-level professional juries had the difficult task of selecting the best delight. 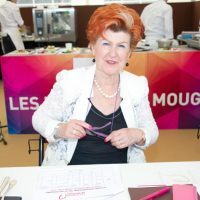 Les Étoiles de Mougins supplied the raw materials thanks to their partner Metro Premium, partner of the International Festival of Gastronomy since the first edition. 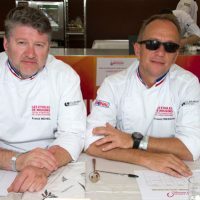 Provider of the haute cuisine with a range covering 95% of the chefs’ supply in rare products. 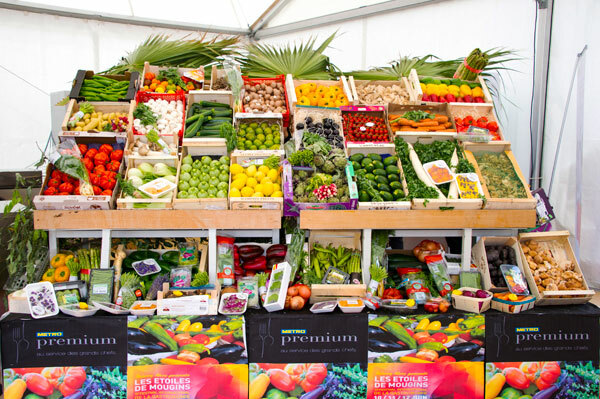 Some exceptional fruits and vegetables were on display in the Contest Area. 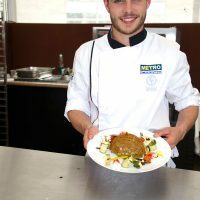 Metro Premium accompanies the chefs and had created a haven of peace and relaxation for them with beer, cocktails and mocktails, ice cream tastings and exceptional products from the Premium range. 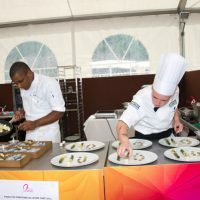 Between demonstrations, the chefs could feast on grilled meats or sandwiches, play table football and make photo sessions with other chefs. 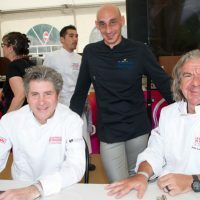 For, at Étoiles de Mougins the chefs also celebrate, like friends who also come for the fun. 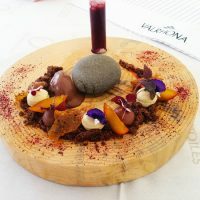 The pre-selection of the candidates was made by a jury composed of professionals on written recipes of restaurant desserts “à l’assiette”, on the theme of the Awakening of the Five Senses: taste, touch, smell, sight and hearing, with as imposed product, the Chocolate Valrhona Guanaja 70%. 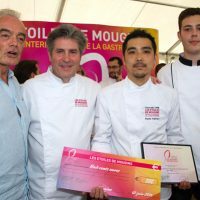 The final saw four candidates, selected out of 40 proposals, provide their best talent during 3 hours on Saturday, June 11, 2016, each aided by a commis, student from the Ecole Hotelière de Cannes. 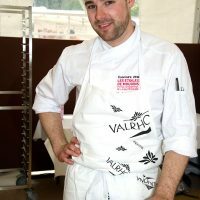 Valrhona is a French company specializing in chocolate production from La Chocolaterie du Vivarais, founded in 1922 by Alberic Guironnet, pastry chef in Ardèche. 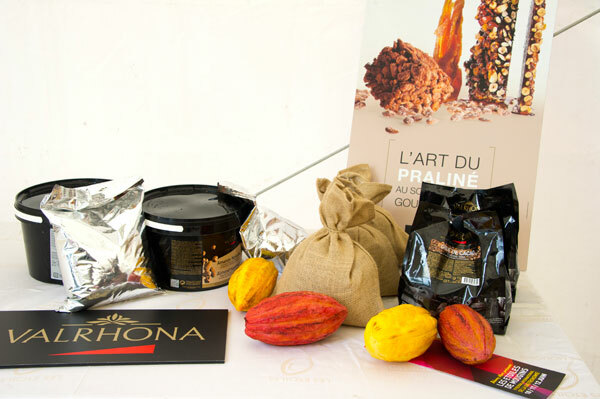 The Valrhona brand was created in 1947. 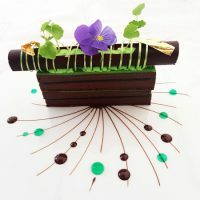 Over the years, the house based in Tain l’Hermitage has imposed its high-end chocolate and radiates gastronomic culture and the French expertise in the world. 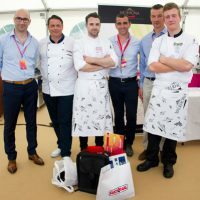 The taste of Valrhona chocolates is recognized by all, professionals as well as gourmet, as frank, complex, in a word, exceptional. 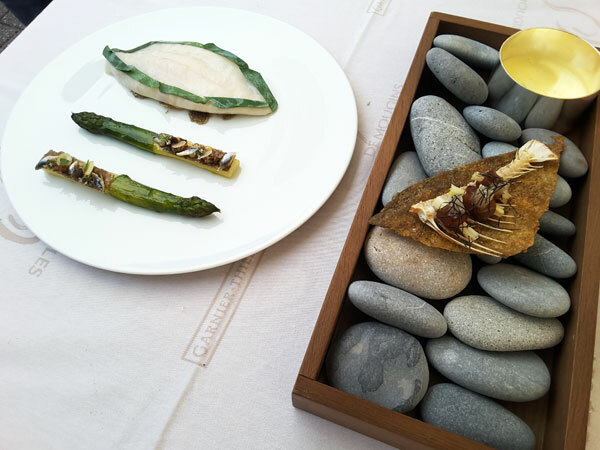 The culture of taste is a core value of the company. 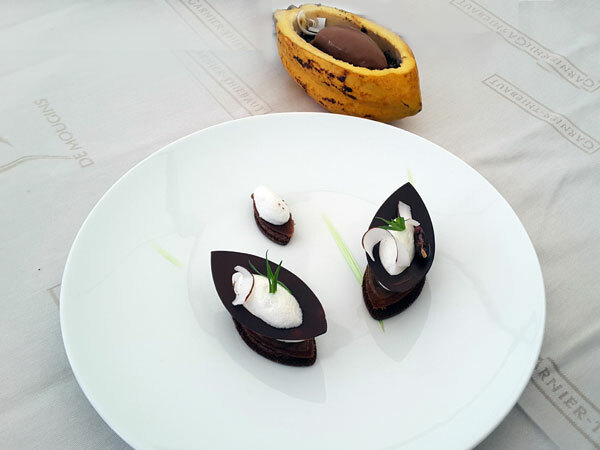 It motivates the work of all Valrhona employees, whose main mission is the development and preservation of the aromatic potential of each product. 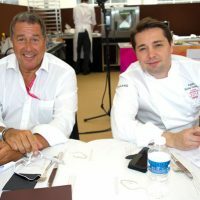 Chaired by Christophe Renou, Pastry Chef Chocolatier – MOF, Ecole du Grand Chocolat Valrhona in Tain L’Hermitage, the Jury was composed of MOFs Franck Fresson, Pastry Chef, MOF (Metz), Franck Michel, Pastry Chef, MOF, Pastry World Champion and Yann Brys, Executive Pastry Chef, MOF, Maison D’Aloyau (Paris). 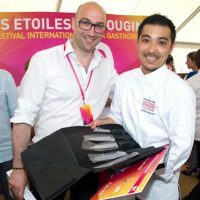 Nicolas Serreau (La Mère Brazier ** – Lyon) won the competition with his Croustillant of Chocolate Guanaja, Coconut and Estragon, accompanied by a Chocolate Ice Cream nestled in a cocoa pod. 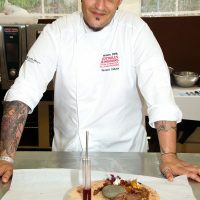 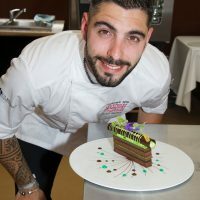 Erwin Hornecker (Hostellerie de la Pomarède* – La Pomarede) presented to the jury a dessert combining Mushrooms, Caramel and Chocolate which earned him the second place. 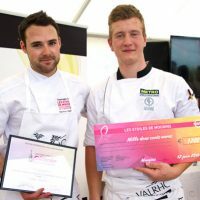 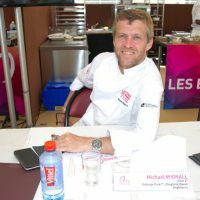 Vincent Catala (Gastronomicom, Frejus) ranked third and Simon Bacary (L’Esprit de la Violette – Aix en Provence – Marc De Passorio), despite his magnificent dessert, was only ranked fourth. 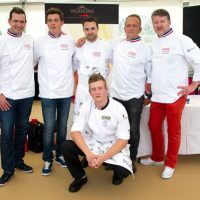 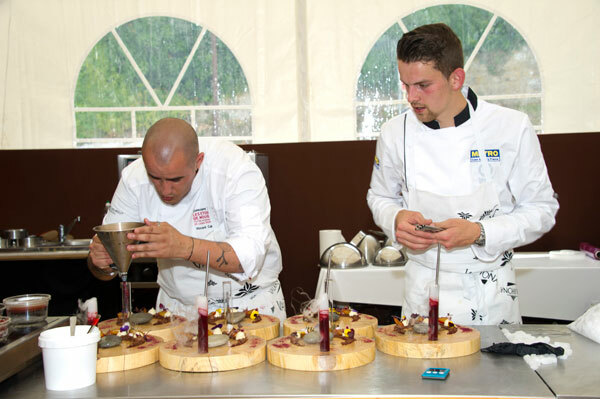 The Young Chefs Contest of Étoiles de Mougins is dedicated to all qualified professional chefs, aged 35 maximum. 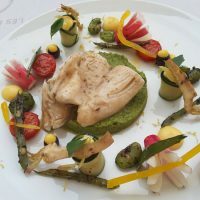 In the final on 12 June, the selected candidates were to exercise their talent on the theme Awakening of the Five Senses with, as imposed products the Saint Pierre and seasonal vegetables. 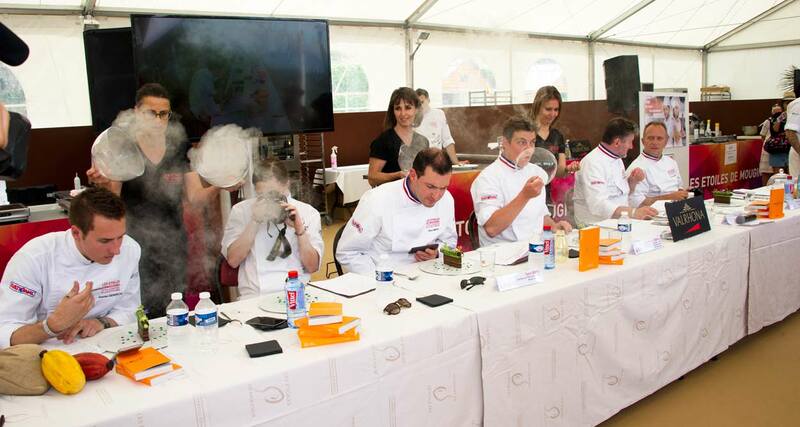 The dishes of the candidates were assessed by a jury representing 11 Michelin stars. 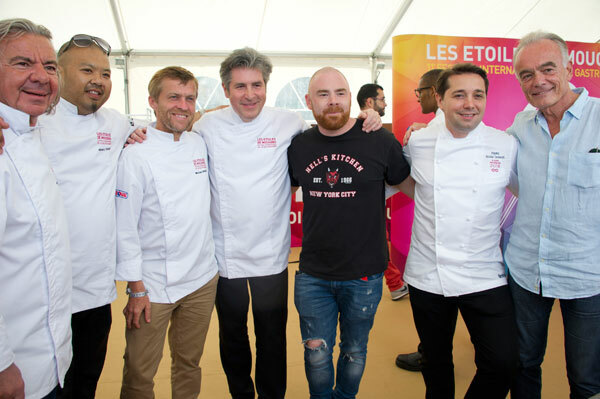 Chaired by Michel Roth (Le Bayview* – Geneva), the jury included: Pierre-Yves Fouqué (Club des Directeurs de Restauration), Nicolas de Cherchi (Le Paloma** – Mougins), Annie Feolde (Enoteca Pinchiorri*** – Florence), Jean-Luc Rabanel (L’Atelier de Jean-Luc Rabanel** – Arles), Michael Wignall (Gidleigh Park** – Chagford, Devon) and David Chauvac (Le Mas Candille* – Mougins). 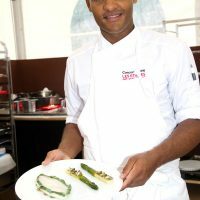 After 3 hours 30 of contest, the winner of the event, Jeremy Moutsinga, Chef de partie at the restaurant La Passagère, Hôtel Belles Rives in Juan-Les-Pins, presented a iodized Saint Pierre cooked at low temperature, along with condimentéed Pertuis Green Asparagus and Hollandaise sauce. 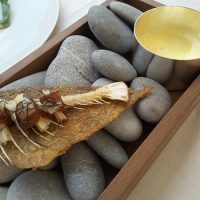 The originality of the dish and the aesthetics with the Hollandaise sauce presented on a bed of pebbles with the fish bone stylized with tataki and skin crisps, were applauded by the audience. 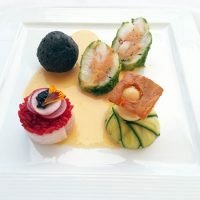 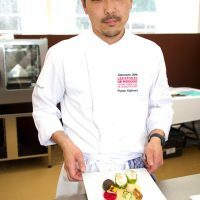 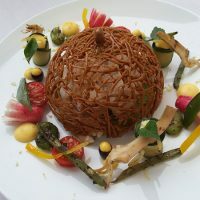 Ryodo Kajiwara, (Restaurant Ivi -Luxembourg) took the second place with a very aesthetic Saint Pierre Sugata Mori, ahead of Vimal Vadivelu (independent cook in Marseille) with his Saint Pierre façon Salade Niçoise. 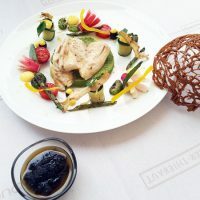 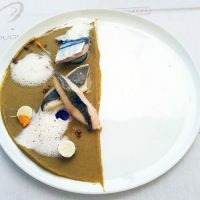 Marine Daviere, the Sea Sens in Cannes, ranks fourth with her recipe of Land and Sea of Barigoule, Marinated Saint Pierre and Mackerel, White Chocolate.